Grab a bite to eat at Margaux, a restaurant which features a bar, or stay in and take advantage of the 24-hour room service. Full breakfasts are available daily from 6:30 AM to 11 AM for a fee. Take advantage of recreation opportunities such as a 24-hour fitness center, or other amenities including complimentary wireless Internet access and concierge services. Guests can get around on the complimentary shuttle, which operates within 2 miles. Take advantage of recreation opportunities such as a fitness center, or other amenities including complimentary wireless Internet access and concierge services. This hotel also features gift shops/newsstands, a fireplace in the lobby, and a ballroom. Make yourself at home in one of the 160 air-conditioned rooms featuring refrigerators and plasma televisions. Your room comes with a pillowtop bed, and all rooms are furnished with queen sofa beds. Complimentary wired and wireless Internet access keeps you connected, and cable programming provides entertainment. Private bathrooms have designer toiletries and hair dryers. With a stay at Executive Inn by the Space Needle, you'll be centrally located in Seattle, within a 5-minute walk of Space Needle and Museum of Pop Culture. 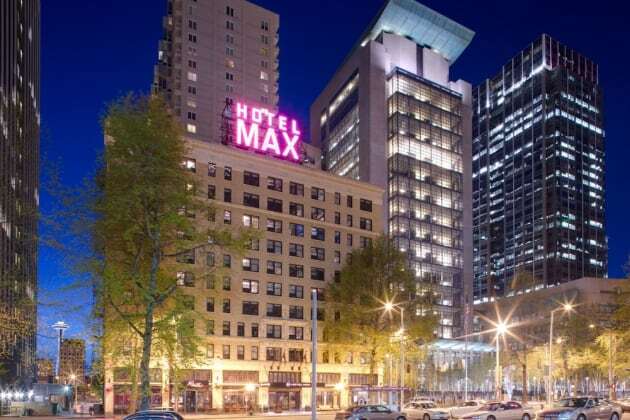 This hotel is 0.2 mi (0.3 km) from Chihuly Garden and Glass and 0.2 mi (0.4 km) from Seattle Center. With a stay at Hyatt House Seattle/Downtown in Seattle (South Lake Union), you'll be steps from Museum of Pop Culture and Space Needle. 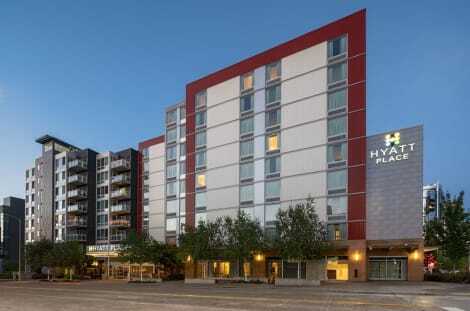 This hotel is 0.1 mi (0.2 km) from Seattle Center and 0.1 mi (0.2 km) from Chihuly Garden and Glass.